A beautiful blue printed rayon short sleeve dress by Ninth Moon Maternity. 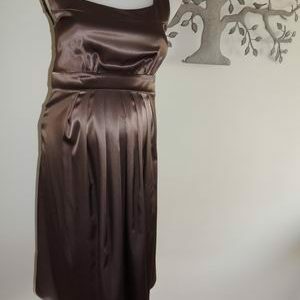 The dress features a shirred waist and shirred V neckline. 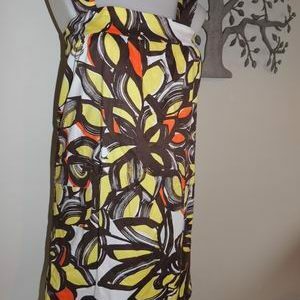 The fabric is lovely, soft and lightweight for the warmer months ahead (no stretch) and the dress is a very flattering style, to suit all body types. 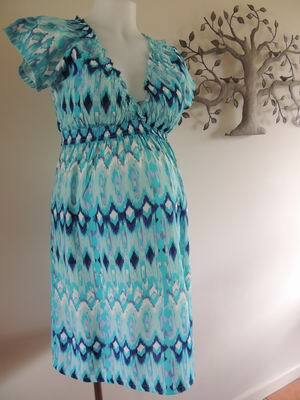 Be the first to review “NEW Blue Printed Rayon Maternity Dress” Click here to cancel reply.